This review comes with a trigger warning for discussion of alcoholism. It is impossible for me to describe the abject shame and humiliation that comes with being in active alcoholism. The “big book”, what we call the book Alcoholics Anonymous, which is the main textbook of AA, calls it “pitiful and incomprehensible demoralization”, and that’s about right in my experience. But it’s hard to describe the day to day feeling of that helplessness and demoralization, especially if you’re trying to describe it to someone who isn’t also an addict. Jowita Bydlowska, however, seems to be able to describe it extremely well. So well that for the two days it took me to read through her memoir about her relapse, I had vivid relapse dreams, probably more vivid than I’ve had since early on in my (so far) three and a half years of sobriety. I was most impressed by how well she described waking up after a blackout. Sometimes it was frantic guilt and self-hate followed by resignation to your fate of having everyone you care about justifiably angry at you. Sometimes it was ridiculous resentment at those people for daring to question you. And sometimes it was a fierce desire to avoid remembering at all costs, because trying to remember what happened during a blackout meant directly facing your demoralization, and that could break you. And also force you to admit you have a problem. Hell, almost four years sober and I still sometimes think in horror of a bruise I had, that I’m sure I got drinking, and that I don’t want to remember the origins of even now. Thinking about how much you’re battering yourself: your body, your life, your sanity is one of the hardest things about saying “I need help, I can’t stop drinking”. I feel like if I met the author at a meeting, we’d talk each other’s heads off, even though we otherwise have very different life experiences. They say in AA to find the similarities, not the differences, but I didn’t even have to try very hard to find the similarities reading this. Reading this book was like going to a good meeting: meeting someone who understands what you went through, and being reminded why you’re working hard to stay sober. 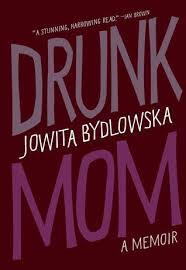 Share the post "Best Booze Memoir I’ve Read"
I am a devourer of almost all things pop culture, but especially books. I already make it a goal to read around 150 books yearly, so I figured why not do some good for the world while I do it? I mostly read fiction, with some graphic novels and nonfiction mixed in there for good measure. This is a beautiful review. There are enough addicts in my family to know that 3 1/2 years of sobriety is impressive. Thanks so much! I was really moved by the book.